Why we are loving South Shields this Summer. Now there's a blog title I never thought I'd write, not that I've got anything against South Shields, its just that when it comes to coastal trips Tynemouth has always been our favourite. Yet for some reason we've found ourselves in South Shields four times over the space of a month, and we really can't get enough! Although all my blogs are written from my heart and full of North East passion, this one has probably come from an extra special place as it's something I felt I just had to share with you. So don't expect any fancy photography - most of these photos were taken spontaneously on my phone in the moment. Truly the best way to capture the love we've felt for this seaside town this Summer. So here we go, in just a few words, this is why we've been loving South Shields this Summer and why you should maybe revisit yourselves. South Shields is a typical British seaside town. A lot smaller than your main seaside resorts like Great Yarmouth, Blackpool and Brighton, it's got the best of everything and the Ocean Beach Pleasure Park is one of the few fully functioning funfairs left on the British coastline. With thrill rides, kids rides and Laser Force for the competitive members of the family it's a great place to spend an afternoon in the sunshine and is guaranteed to transport you back to simpler times and trigger the most amazing childhood memories. Anyone who follows me on Instagram (you can follow me here) will know how obsessed I've become with ice cream this Summer and one of our favourite places on the North East coast for a cone is Minchellas in South Shields. They pop up in several locations across the town but our favourite is the seafront parlour where you can order mammoth cones to enjoy by the sea. I think we've tried almost every flavour now and Tiramisu is definitely my favourite. South Shields really does offer the best of all worlds because if the seaside really isn't your thing there's also a picture perfect park with loads of lush green space to enjoy a picnic and waste hours of your afternoon snoozing on the grass. South Marine Park has a play park and miniature train for the kids and a large cafe for delicious lunches and ice cream. It has to be said there's some great people watching to be had in South Shields and the seafront has become our favourite place to sit on warm afternoons. We love nothing more than relaxing, watching the world go by and discussing how much we wish we could own a dog. I obviously can't talk about South Shields without mentioning Colmans! Championed by many folks in the North East, Colmans is so famous it even has special brown signs to help out the tourists. 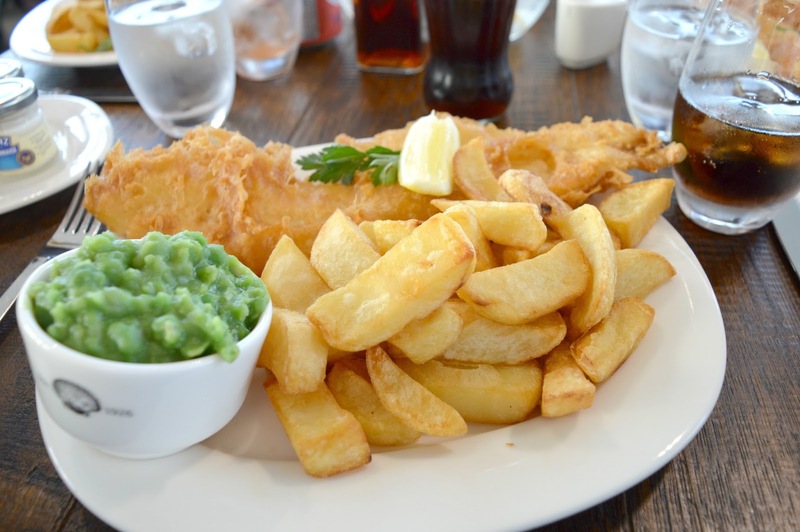 For the original experience head to the hustle and bustle of the Ocean Road restaurant but for something truly special the brand new Colmans Seafood Temple on the seafront offers a picture perfect location for date night and the fish and chips are something truly special. I've lost count of the amount of people I've told about that time Simon and I did an epic 8 mile walk from South Shields to Sunderland, but it truly is something to boast about. 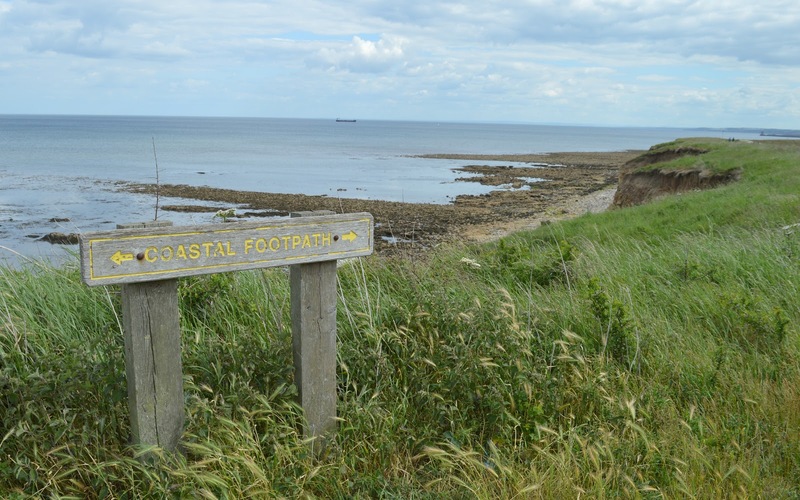 Stumbling across the footpath completely by accident it offers some of the most beautiful coastline in the North East and the walk is so stunning it almost seems effortless. Did you know that South Shields has a picture perfect lighthouse that looks like it came straight out of a postcard? 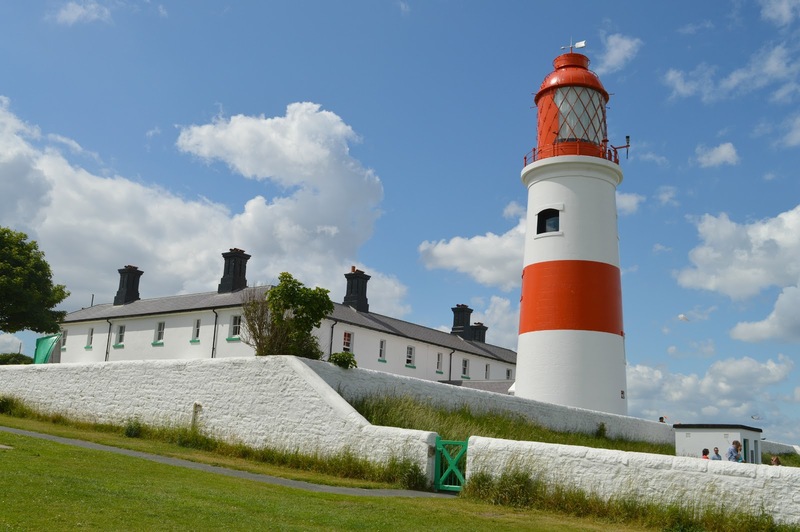 Souter Lighthouse in South Shields is a stunner. Dressed head to toe in red and white stripes it's a photographers dream and the perfect place for a relaxing afternoon. Climb to the top for beautiful views across the coastline or relax in the National Trust tearoom with a pot of tea and a scone! Is anyone else feeling the South Shields love this Summer? I'd love to hear where you've been spending most of your Summer! We love South Shields too. It's close to us and it's so good for kids. Much more for them than say Tynemouth. I tend to spend more time in North Shields than South Shields simply because it's closer but I should venture down there more often, it's worth the journey even if just for Colemans fish and chips! I've never visited this bit of the coast, but it looks really lovely - I can see why you've been enjoying it so much! South Shields really is somewhere I don't visit.. but I really should by reading this! Noted and listed. :) Love the lighthouse.